One of the most beloved anime series of all time is about to be brought into the world of live-action. That's right, space cowboys, Cowboy Bebop, nearly fifteen years after the original series went off the air, is getting a live-action TV adaptation courtesy of Thor: Ragnarok writer Chris Yost. No network has been announced yet, but rest assured, this is happening. 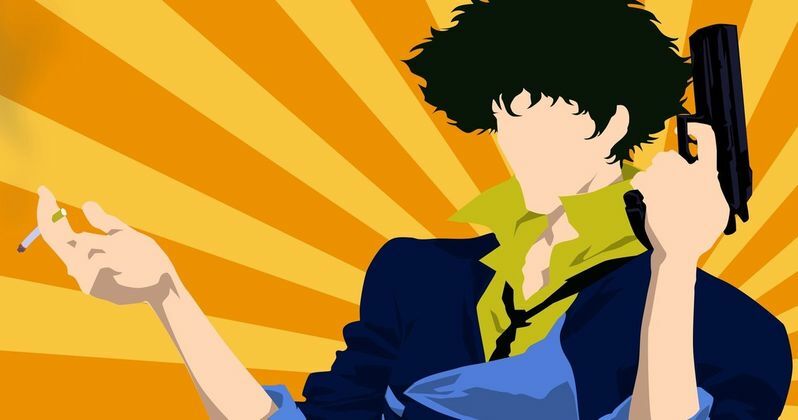 According to Deadline, Tomorrow Studios, Midnight Radio and Sunrise, the studio who was responsible for the original Anime series, have all partnered to bring Cowboy Bebop to the modern TV landscape. Marty Adelstein, Josh Appelbaum, Andre Nemec, Jeff Pinkner, Scott Rosenberg, Becky Clements and Matthew Weinberg are all on to produce. Here's what Marty Adelstein had to say about the live-action Cowboy Bebop series in a statement. "We are excited to work with Sunrise in bringing this beloved anime to the U.S. and global marketplace as a live-action series. The animated version has long resonated with audiences worldwide, and with the continued, ever growing, popularity of anime, we believe a live action version will have an incredible impact today." The original Cowboy Bebop series came out in 1998 and ran for a total of 26 episodes, which have held a strong cult following in the years since. In case you aren't overly familiar with the anime, Cowboy Bebop takes place in 2071 and centers on humans having finally colonized space. Though, it was more out of necessity, since they destroyed the moon making the Earth a very unlivable place and had to terraform other planets, like Mars, in order to allow for humans to survive elsewhere. Here is a synopsis of the original show, per the Cowboy Bebop Wikia page. "Politics, society, and economics changed with the times. New generations grew up with no memories of the Earth, and ethnic groups and nations gave way to planetary allegiances. As these new communities flourished, the economy boomed (similar to the economic productivity nations encountered after World War II). However, this also widened the disparity between the rich and poor, and interplanetary crime syndicates began to exert influence over the planetary governments and the Inter-Solar System Police (ISSP). In order to control the criminal activity, a "bounty-reward scheme" was introduced. Cowboy Bebop takes place in the year 2071. The crew of the spaceship Bebop is a partnership of bounty hunters, called "cowboys," who travel the Solar System trying to apprehend various criminals and lawbreakers. Jet Black is the owner of the Bebop and partners up with Spike Spiegel, a young man with versatile combat skills. Though he is reluctant to admit it, Jet has also come to rely on Spike for companionship in the normally solitary field of bounty hunting. Soon enough, they are joined by Ein, Faye, and Edward, making for a diverse (but perpetually poor) group." If we ignore the fact that a live-action Cowboy Bebop series sounds very expensive, it definitely sounds like it could be pretty cool and could fit right in on a streaming service somewhere. This has Netflix written all over it. Or maybe, since the original anime aired on Adult Swim in the U.S., that might be a good home for it. Either way, even though we don't have any word on exactly when you can expect to see it, get ready for some live-action space cowboy/bounty hunter action in the not-too-distant future.